The Account Manager for Lubrizol Life Sciences is tasked to accelerate the sales growth of Medical Devices in China through in-depth understanding of the market, building relationship and understanding the unmet needs of the customers. •	Lead the sales and market development activities to promote growth of the business for assigned accounts and territories. •	Foster and grow the appropriate business relationships both internally and externally to ensure high customer satisfaction. •	Create and implement account plans that are well aligned with the business strategy. •	Develop and manage annual territory budget. •	Comply with administrative requirements (call reports, forecasting, expense reports, etc.). 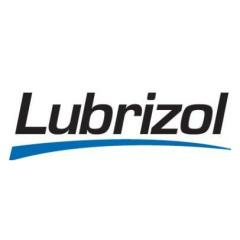 •	Represent Lubrizol at trade shows, conferences, and at local industry association. •	Work in partnership with the Technical team to service key accounts and prospect for new accounts. •	Develop on-going market intelligence and research to provide for the introduction of new products and keep abreast of competition. •	Collaborate with team members from other geographies to service global multinational customers. •	Bachelor degree or above in Polymer, Medical devices, Engineering or other related majors. •	More than 5 years experience in sales & marketing, engineering or technical service. •	Technical background in engineered polymer processing is preferred. •	Willing and able to travel 50% of the time. •	Tactical and strategic thinking and business acumen. •	Strong negotiation, communication and presentation skills. •	Excellent interpersonal abilities and a strong drive for results. •	Demonstrated successes in implementing new product, solution, technology and value selling programs. •	Experience in working in a matrix organization and exposed to regional or global team will be a plus. Ability to understand global strategy and localize the strategy to regional characteristics. •	Proficient in the MS Office tools (Word, Excel, PowerPoint, etc).